Titles earlier in the week in Buenos Aires, Chile’s Matias Pino and Russia’s Alexei Saunin emerged as the most successful players at the 2016 Copa Tango which concluded in the Argentine capital city on Sunday 27th November. 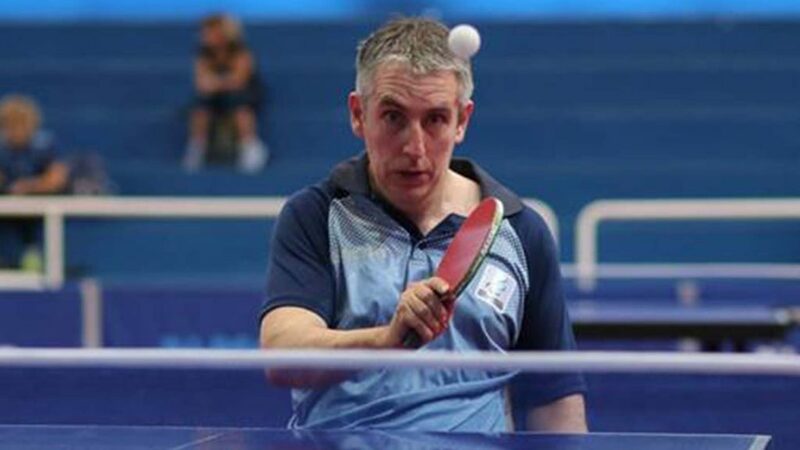 Four days earlier both had secured titles in the junior event; Matias Pino had won Men’s Singles Class 6; Alexei Saunin had clinched gold in Men’s Singles Class 8. Meanwhile, one day earlier they had secured the top step of the podium, each won the same class as in the junior competitions. Confident Matias Pino partnered colleague Osvaldo Torres to gold in Men’s Team Class 6-7; Alexei Saunin joined forces with his compatriot Artem Iakovlev to clinch the Men’s Team Class 8 title. At the final hurdle Alexei Saunin and Artem Iakovlev overcame the host nation duo comprising Alejandro Perez and Pablo Kroztch by two matches to nil, having recorded the same margin of victory one round earlier at the semi-final stage when overcoming the Chilean partnership of Ruperto Morales and Juan Sepulveda. Impressive from the Russians, it was the same from Matias Pino and Osvaldo Torres. 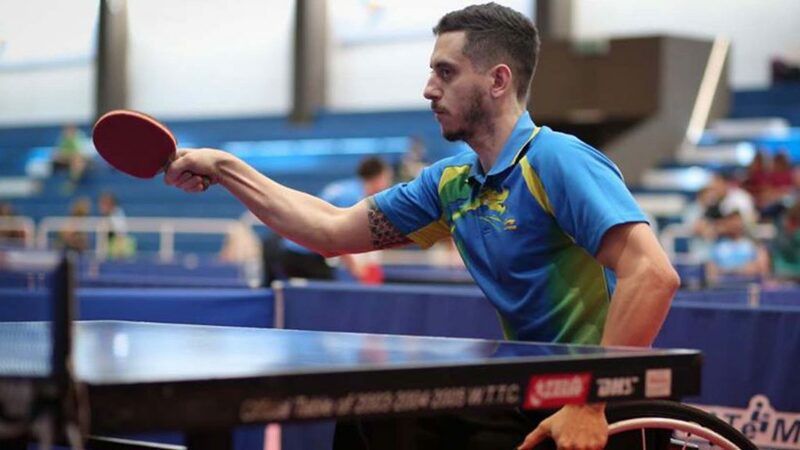 In a group organised event, the duo finished ahead of the pairing formed by Brazil’s Luiz Medina and Costa Rica’s Steven Roman; third place and the bronze medal finished in the hands of Colombia’s JoséVargas and David Cucaita. 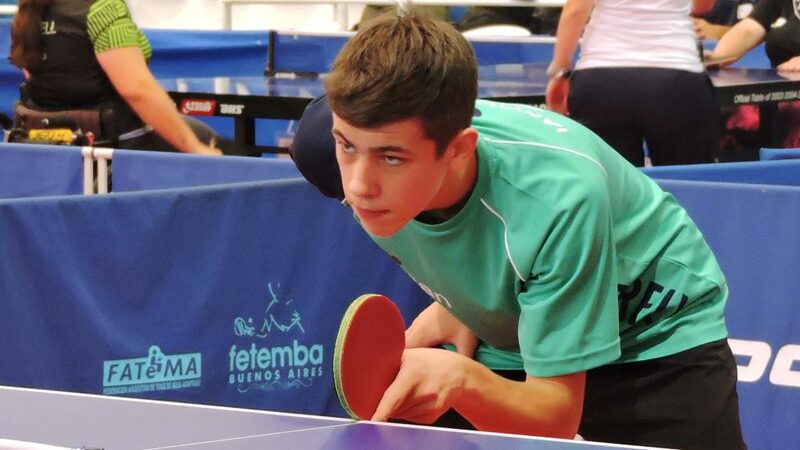 Success for Matias Pino meant he completed a highly successful two weeks of play; on home soil in Santiago the previous week, he won the Men’s Singles Class 6-7 title whilst in partnership with Osvaldo Torres was a Men’s Team Class 6-8 bronze medallist. Titles in both the Men’s Singles and Men’s Team events, it was the same for Argentina’s Gabriel Copola and Italy’s Mohamed Kalem. Gabriel Copola who had won Men’s Singles Class 3 one day earlier, partnered colleague Mauro Depergola to Men’s Team Class 4-5 success, whilst Mohamed Kalem, the Men’s Singles Class 9 champion, joined forces with the host nation’s Dario Neira to win Men’s Team Class 9-10. Mohamed Kalem and Dario Neira finished ahead of the Chilean combination formed by Valentin Letelier, Sebastian Diaz and Mauel Echaveguren in a group organised event with Gustavo Castro and Alvaro Vego in third place. Not one individual match conceded by Mohamed Kalem and Dario Neira as they marched towards the top prize; it was the same for Gabriel Copola and Mauro Depergola. They accounted for compatriots Daniel Rodriguez, Elias Romero and Mauro Deibe in the final, having in the penultimate round beaten the combination of Brazil’s Ecildo Lopez de Oliveira and Costa Rica’s Geovanni Rodriguez. Success for the host nation and there was further success; Fernando Eberhardt and Rolando Loustric combined to win Men’s Team Class 1-3, Maria Garrone who the previous week in Chile had won the Women’s Singles Class 2-5 title, joined forces with Nayla Kuell to secure gold on home soil. Both competing in group organised events, Fernando Eberhardt and Rolando Loustric finished ahead of Colombia’s Luis Valencia and Edwin Sanchez with the partnership formed by Chile’s Luis Bustamente and Luis Muñoz in third spot. 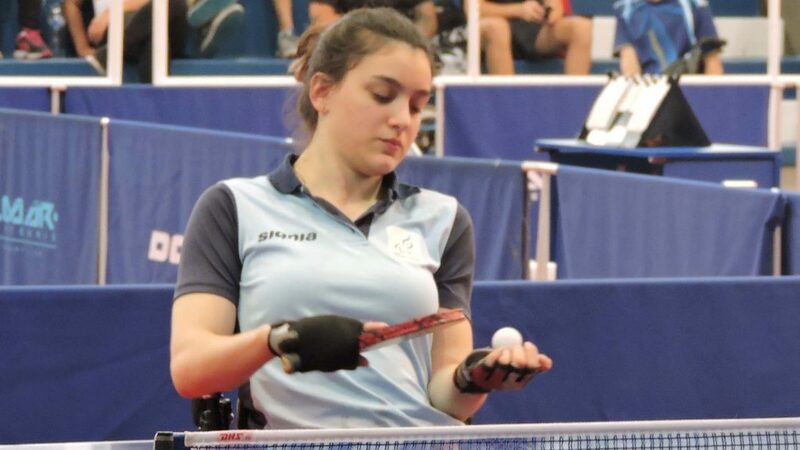 Impressive, it was the same from Maria Garrone and Nayla Kuell; they secured top spot with Colombia’s Sara Leon and Nethy Sanchez finishing in runners up spot. Third place finished in the hands of Chile’s Tamara Mosnalve and Sharon Cea. Play concluded in Buenos Aires, the next stop is San José; the Copa Costa Rica will be staged from Friday 9th to Sunday 11th December.